Cape Scott is located at the very tip of Vancouver Island in British Columbia, Canada. The northwestern tip of Vancouver Island juts way out into the Pacfic Ocean and gets the most rainfall in all of North America. For many thousands of years this area was inhabited and caretaken by the local First Nations bands in a sustainable and respectfull manner. They lived off the abundance of the salmon, wildlife and natural food sources. The tribes eventually colasced into one tribe after contact with european explorers. They were decimated by diseases brought by the european expolorers like small pox. Also, the influence of guns, alcohol and religion on these insulative communities was devastating. The local tribes began infighting and finally colasced into a small remaining tribe called the Nahwitti. There is no local population of First Nations any longer at Cape Scott. The area was named for the Patron of Captain James Strange's voyage, Mr. David Scott. Strange was exploring for the country of England in 1786 and claimed all that he had navigated for his Queen and Country. 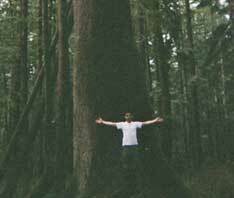 His influence is represented in the many names given to major features and bays in the Cape Scott Area. This area was also known for its abundance of Sea Otter. 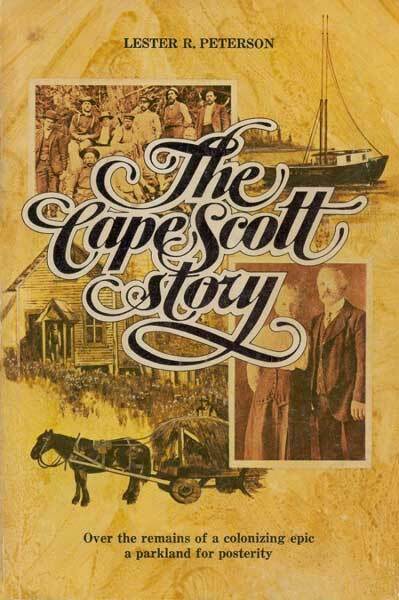 Almost all the facts and references I am making in this website have been taken from the definitive work on the area, Lester R. Peterson's "The Cape Scott Story" published by Mitchell Press in Vancouver in 1974. In 1894 a Danish immigrant was fishing out of Seattle and came ashore at the head of what would become Hansen Lagoon to take a look around. Rasmus Hansen decided that this would be a great place to start a Danish Colony. In the Fall of 1896, the first group of settlers arrived at Fisherman's Bay, where the seeds of the colony were planted. 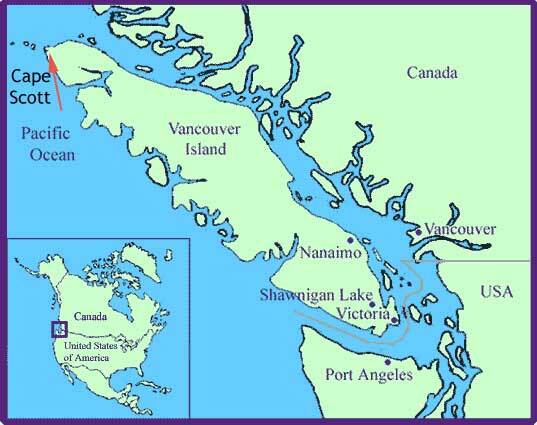 By 1899 there was a population of 90 colonists living around Cape Scott. The government soon gave promises to these settlers including a road to link them to Holberg and the rest of the island, a school to teach their children and eventually, after certain conditions, ownership of the land. This encourgaged the settlers to continue to build and this they did with amazing determiniation. Houses, churches, community halls, boats, even two dykes! They built their first dyke in the lagoon to reclaim some estuary land for farming. However, when celebrating their accomplishment, the dyke was destroyed by a surge tide and change in wind. Their determiniation was strong though, as they committed to rebuild this massive project immediately. The colony continued to prosper for the next couple of years and even came to be known for its "Cape Scott butter". Everything had to be shipped out by boat and this created tremendous obstacles for the colonists. Also, when the Provinical Government changed 3 times in 1899 the upheavel resulted in a government that retracted all of the previous governments promises to immigrants and their attempts to settle areas of the island. Land that was promised to the settlers after they had devleped and lived on the land for 5 years was taken away. The road that was promised was never extended beyond 2 miles out of Fisherman's bay. Discouraged, many settlers left and went to Holberg. Many stayed, but the colony was considered dead after 1907. Everything had to be dropped off by boat and this created many problems for the settlers. There are accounts of both a Steam Engine and a Piano beeing left on the beach for a full cycle of the tides before enough manpower could be raised to pull it up. Also, cattle and livestock had to be dropped off by boat as well, almost all of them would naturally swim to shore when dropped in the water, however, none of them would ever swim back out to the boat to be taken away! There was incredible stories of how much weight the settlers would carry as they hiked the muddy, wet trails. Standard pack weight was 110 pounds. Using one of the old style packs which could carry everything from stoves to bricks. One story involves a brother and sister hiking the 4 miles from the store to their house. After arriving home, the brother asked the sister if she had forgottent the 50 pound sack of flour from the store, and she just opened up the door of the stove she was carrying to show the sack of flour inside! The government soon opened up the land for individual speculators. Anyone could make a claim if they lived on and developed the land they had staked out. This started a second rush of settlers to the area. However, the climate, weather, lack of road, and World War One killed this settlement attempt by 1917. Everyone had to pack out what they could and leave the rest behind. After this, there were a few hardy souls who stuck around seeking out the solitude and isolation of the Cape. It was not until World War 2 would there be an influx of of people again. A secret Radar Station was constructed out at the Cape to help detect for Japanese war planes. 50 men were stationed here and they built a road that you walk along towards the lighthouse that stands even today! There are a few buildings still somewhat standing from this station. The final chapter of Cape Scott's history is in 1971 when the Canadian Forces Station at Holberg decided to build the current trail out to the Cape as a Centennial project. It is thanks to these men that the Park exists for all to use today.